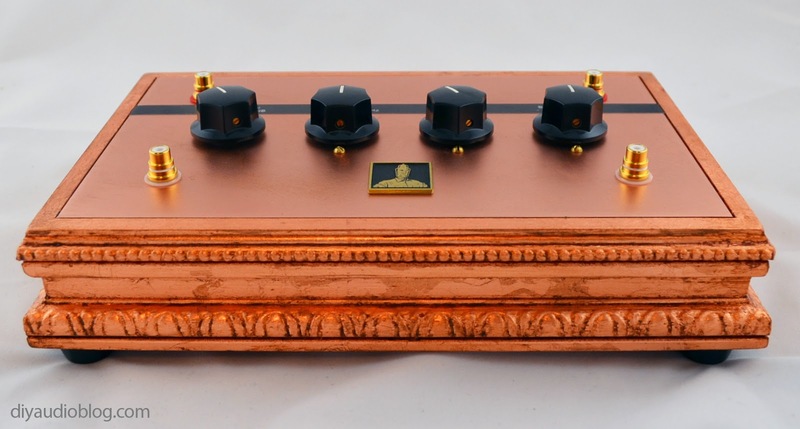 The Bottlehead Fix is a passive baffle step corrector and treble compensating device that sits between your source and your integrated amplifier, or between your pre-amp and amp. 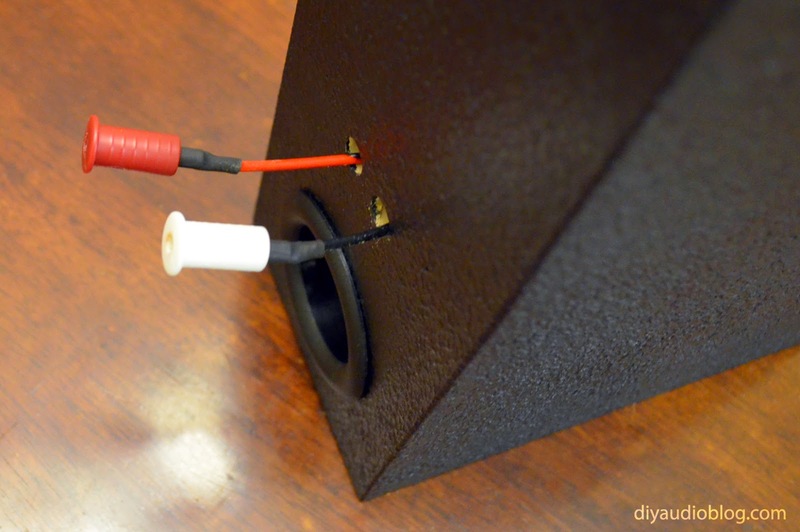 Baffle step correction (if the baffle is narrow) and treble compensation can benefit the sound of full range speakers in particular, so if you are into Fostex or MarkAudio drivers (or even Planet10 / Feastrex modified drivers), this is a great device to check out. 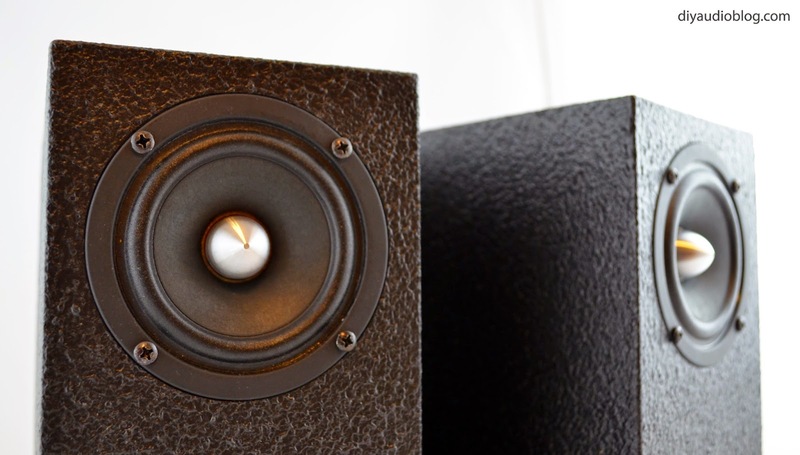 Do note, in some cases, the compensation is already being handled by a network of capacitors, inductors and resistors within a full-range speaker. There are four switches in total. 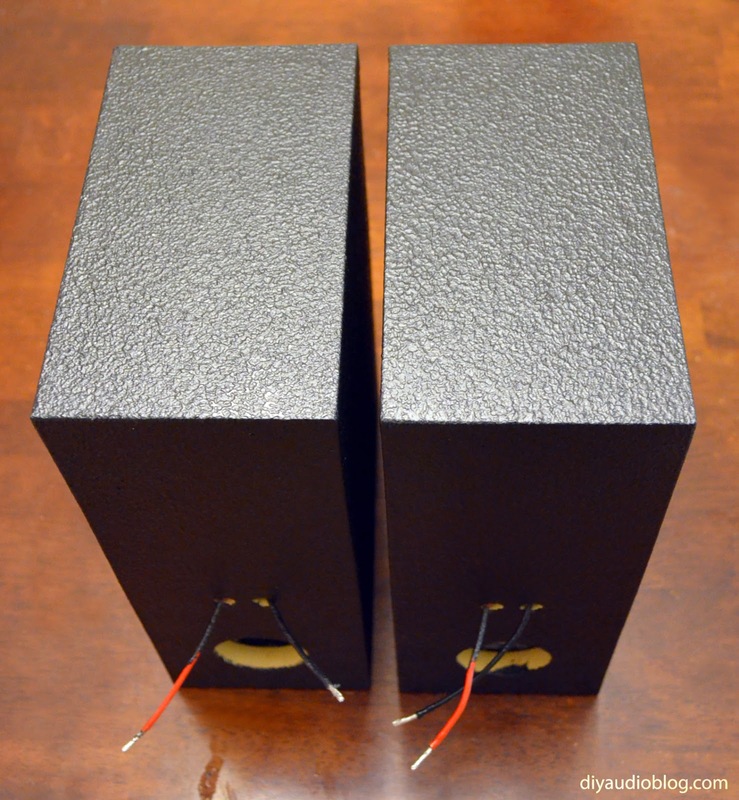 As stated on the Bottlehead website: two of switches on the Fix controls the adjustable baffle step corrector that compensates for the bass roll-off in narrow baffled speakers. The first switch is used to set the bass turn-over frequency for the baffle width of the speaker you are using (selectable in inches). The second switch controls magnitude of the cutoff frequencies for passive bass compensation (which flattens a falling frequency response below baffle step frequency). 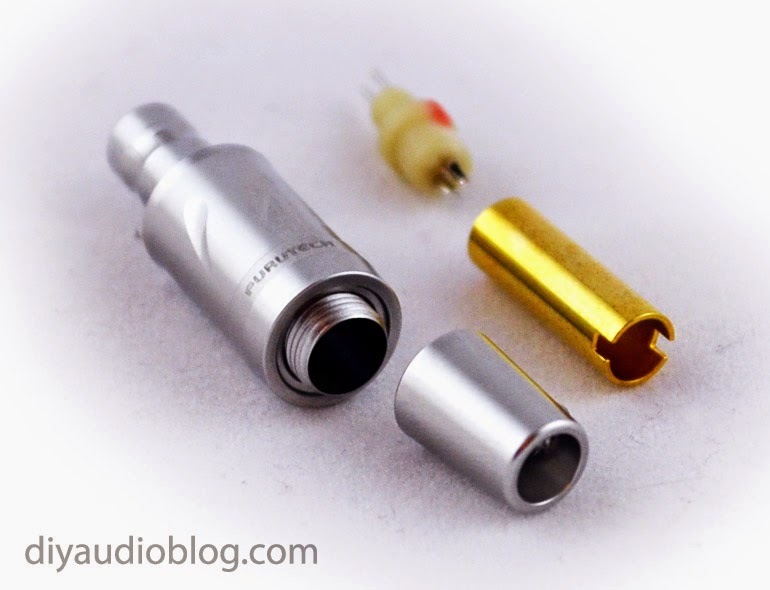 The third and forth switch compensate for treble roll-off with typical full range drivers. One switch selects turnover frequency, and the second switch chooses 0,2,or 4 dB of treble compensation above that frequency. Curious if your speakers could benefit or not? The Fix is only $75 so it's not a big gamble, and given the popularity of full range speakers lately it wouldn't be a tough sell either. Normally, the Fix comes with a random colored piece of plexiglass (or similar material) and you either make the base yourself, or order one of Hammond or Bottlehead's for a few extra bucks. The build should be pretty quick as there aren't many parts, and would take the average person a couple of short nights to put together. 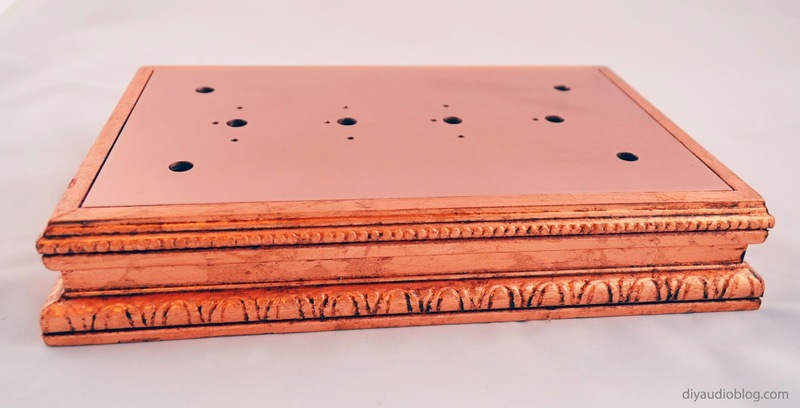 Since I like everything on my rack to be "matchy matchy", I'll be using some alternative materials to put mine together, namely the typical copper leafed wood base and a copper plate. The copper plate I ordered was a remnant online, nice and heavy at 1/8" thick. I taped the plexi plate to the copper one and used it as a drilling template on the drill press. After drilling the holes, I sanded with 60, 180, 300 and 600 grade sandpaper, then spray painted it with a matte clearcoat from Krylon, otherwise it would be oxidized with hand-prints the very next day. The base is made from 2 inch tall decorative molding from the local hardware store, cut with a miter saw, adhered with wood glue, and braced in the corners with square pieces of pine. It's then copper leafed using generic copper leaf and Mona Lisa Speedball base coat, adhesive size, sealer and antiquing glaze. These items can be found at your local Michaels craft store or online. The first step in assembling the Fix is fastening on the switches and RCA female connectors. A socket wrench is especially handy in this step, however if using the plexi base, caution is advised in the manual as it can crack. In addition, the switches have plastic threading, so they could strip easily if too much pressure is used. 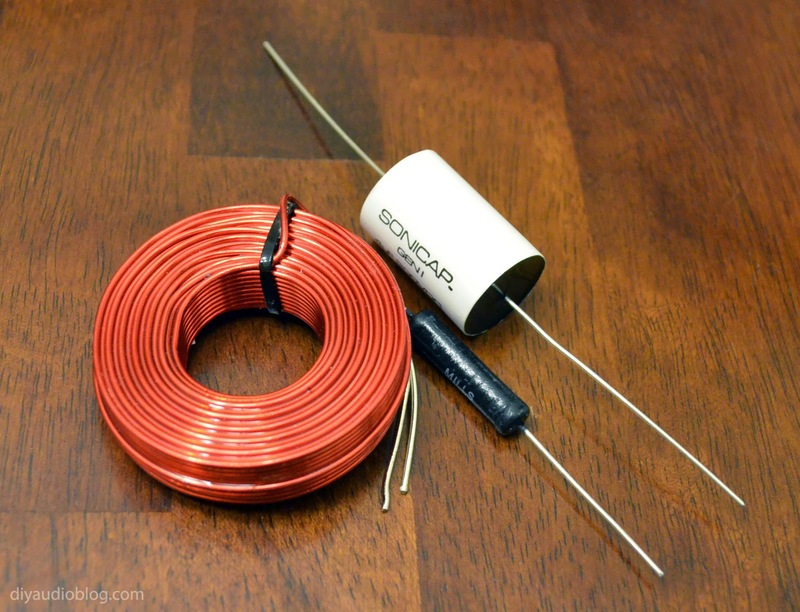 Once these items are secure, it's then time to mount the solder tabs. The manual shows corresponding letters and numbers for each solder point, so it's great to write these directly on the plate for ease of assembly. I ran a solid piece of Cardas magnet wire for the ground plane and tied any solder tabs that needed to be grounded to it using bus wire. The polystyrene caps supplied are very nice quality. Polystyrene was commonly used for capacitors in the 50s up through the late 70s. You'll still find them today, many of them surplus from overseas. 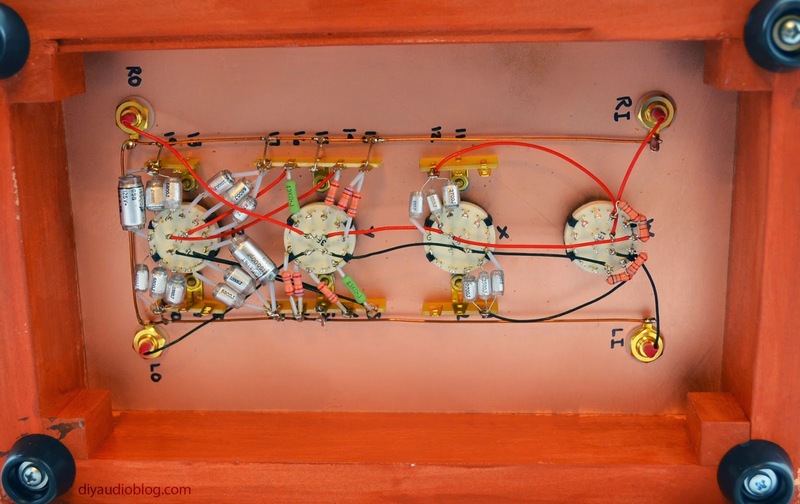 In vintage tube amps you may find them in glass-sealed tubes. 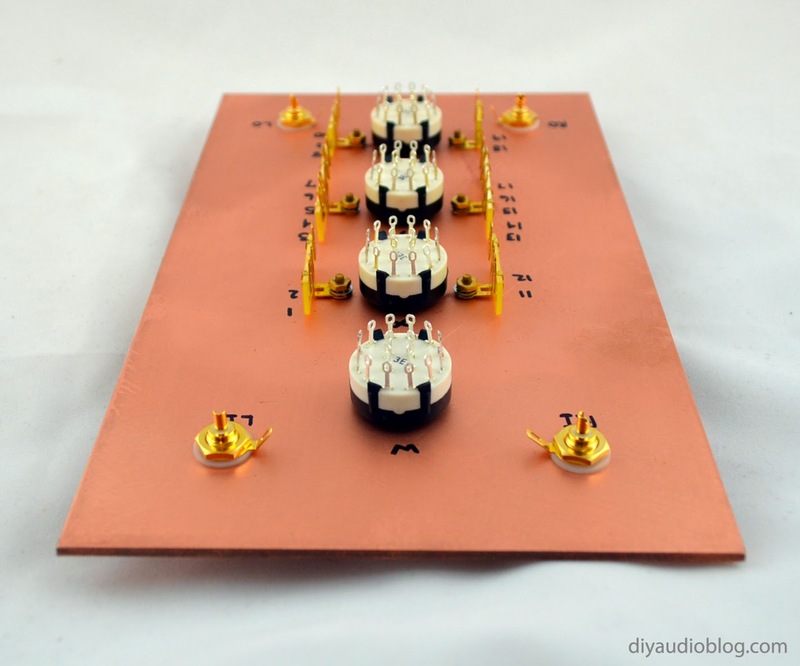 This variety has the leads laid-in, and you need to be careful in higher values as they will create inductance based on the way they are built. Also polystyrene caps can melt, so don't put them in areas of high temperature! Those are the cons, but many feel that polystyrene caps are second only to Teflon in sound quality, so it may be worth it to experiment with them. The 15,000pF caps in the Bottlehead kit are polypropylene, I opted to order some polystyrene to match the rest of the build. These came from Israel and are a little larger as they are 125V (no particular reason, just the smallest value I could find). Bottlehead supplies a nice piece of black vinyl that has the functions printed on it, as well as an "I" and "O" for input and output. As a final touch, I added the iconic Bottlehead badge to the lower center. I hope you enjoyed this post. 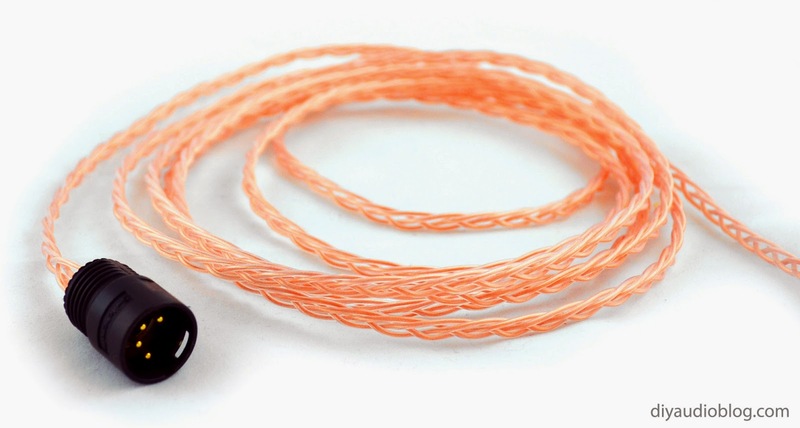 Please visit Zynsonix if you need some sweet sounding interconnects for your Bottlehead gear, or any other custom audio cable. Until next time! 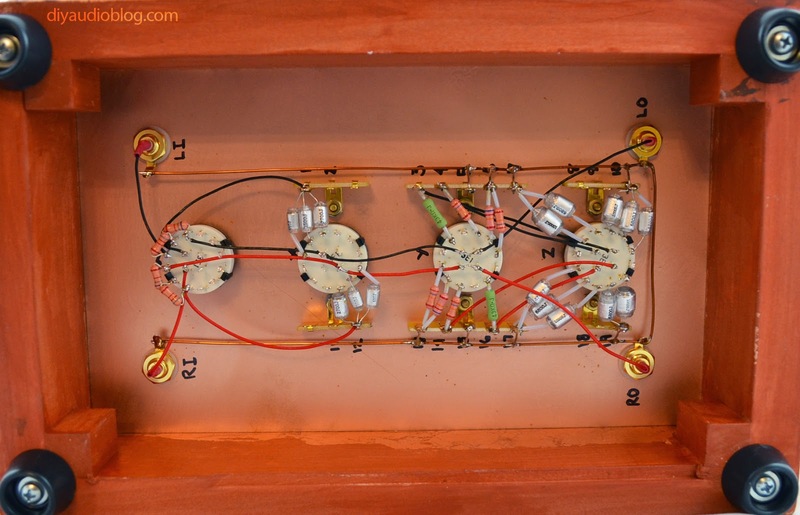 The above steps detailing the build of a Bottlehead Fix are for entertainment purposes only, and not intended to be used as assembly instructions. Zynsonix Audio LLC is in no way affiliated with Bottlehead. The owner of this blog and all associated parties can not / will not be held responsible if you attempt the process posted and cause physical harm to yourself, your surroundings or your property. 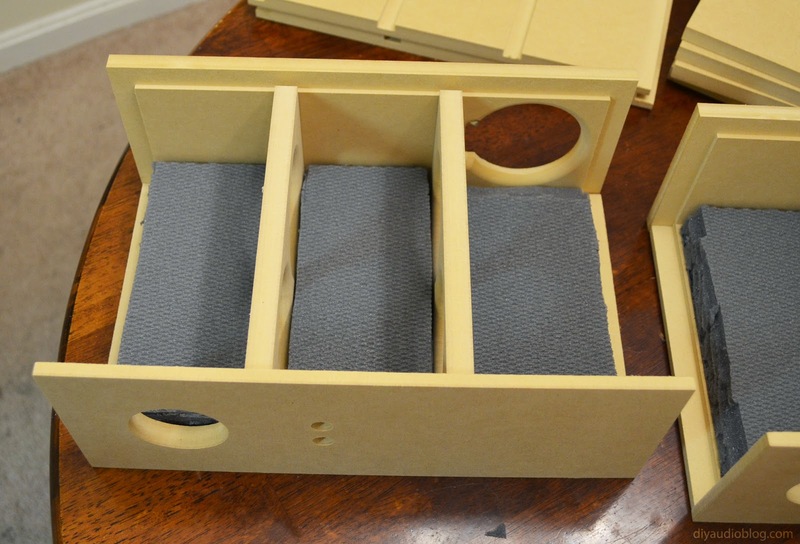 Since I don't own a table saw or have anywhere to even put one, I enjoy building speaker kits where the MDF/pine or other wood is pre-cut by CNC machine. 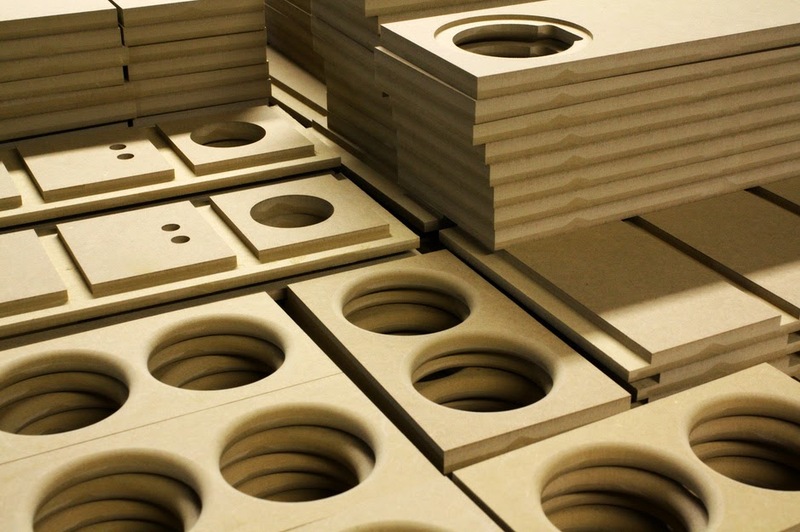 The industry nomenclature for pre-cut wood for speakers is a "flat pack". You still get to treat the cabinet interior, fit the crossover, and glue everything together, so you don't miss out on all that fun. 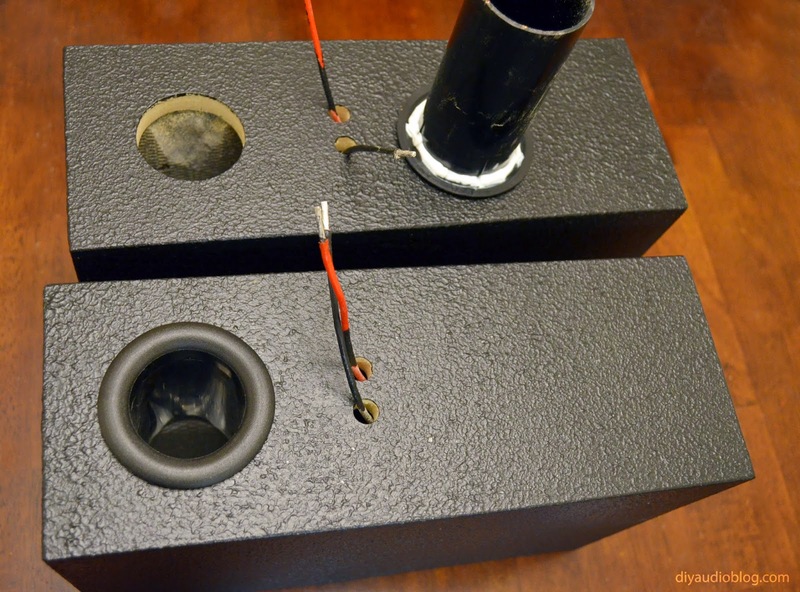 The last flat pack speaker I built was the Frugel Horn from Planet 10 Hifi, which was a simple to assemble back-loaded horn which could house a Planet 10 treated driver, or a stock driver from Fostex or MarkAudio. 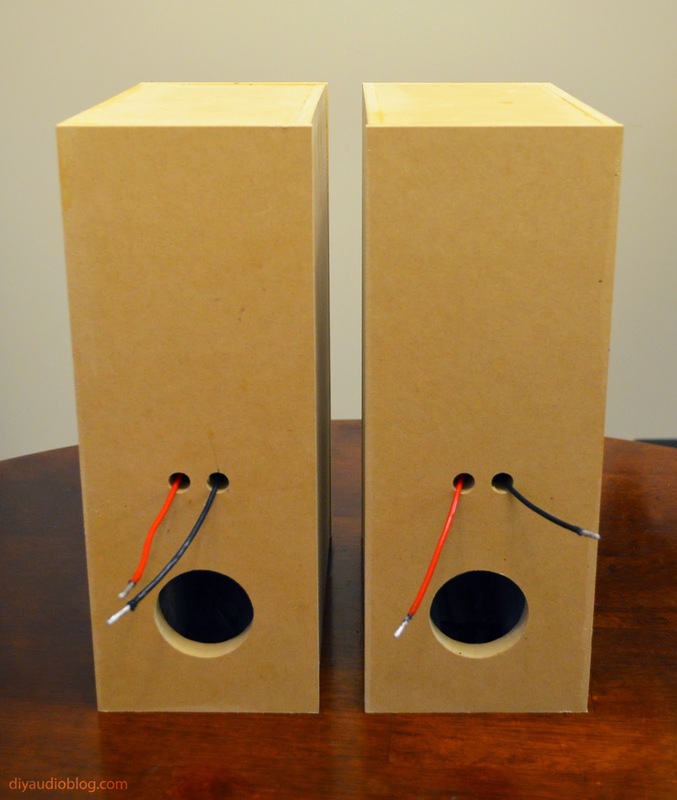 The speaker build this post will be covering is the GR Research LGK 1.0 Full Range Speaker kit. The LGK 1.0 uses a 3" driver made by GR Research. Yes you read that correctly... 3 INCHES! Many may think three inches is inadequate, but it's all about how you use it (a-ha). This particular LGK driver is happily seated in a very solid 8"x 4.5" x 12"cabinet that's cut by Subassemble. The rest of the parts for the LGK can be procured from Danny at GR Research. The kit from Danny includes a number of nice quality parts, including Sonicaps, Mills resistors, Erse Air core inductors, Electra tube connectors (which serve as the speaker connectors), No Rez, and other minutia including ports, screws, wire, solder, and heat shrink. 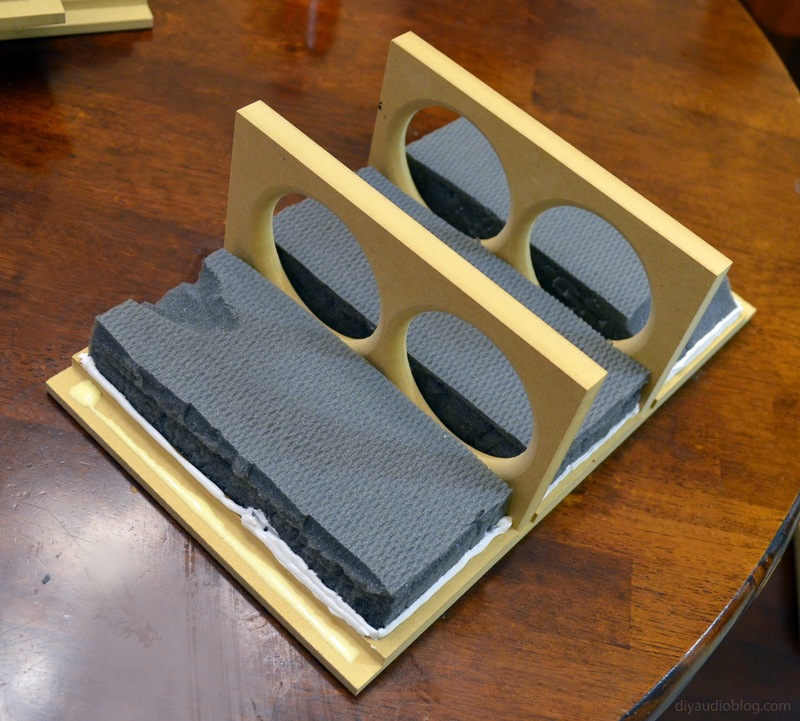 The first part of the process is to cut up the No Rez, which is a thick damping material specially designed for loudspeakers which adds mass and reduces resonance and internal waves. The thicker, bottom portion of the No Rez closest to the adhesive takes a little bit of elbow grease to cut with a razor blade. Remember to change out the blade before you start grumbling under your breath. Once the cuts have been made, the CNC cut wood pieces are laid out and the No Rez applied after to ensure it won't bump into anything during final assembly. I added a bit of sealing caulk around the edges to prevent air from escaping anywhere but the port. 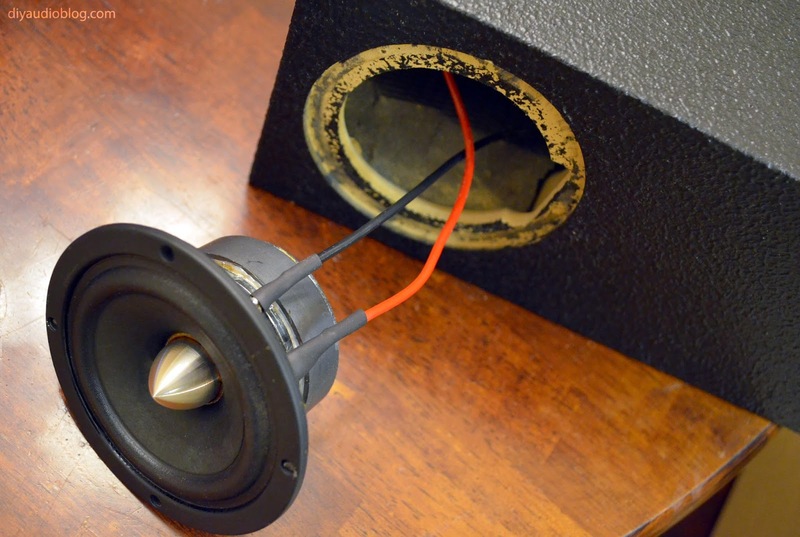 The No Rez needs to be trimmed a little bit to allow clearance for the speaker, port and crossover. 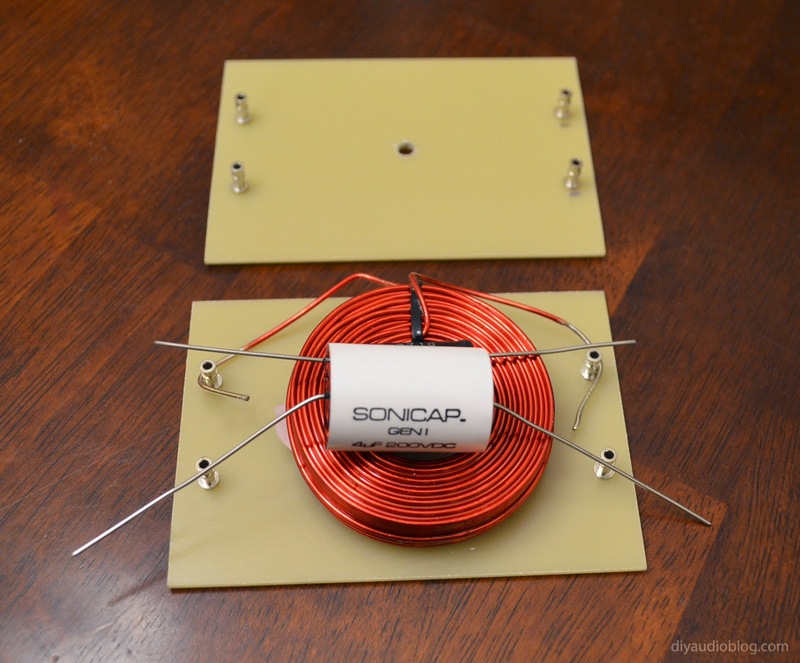 The next task was to assemble the very simple crossover, which acts as a baffle compensator to help boost the bass. The three parts are soldered in parallel. The part values are proprietary per GR Research so I can't share them unfortunately. I cut two pieces of FRP material and mounted some turrets so the parts could be mounted cleanly, with zip ties holding down the inductor. The board is then mounted to the top wood panel with caulk. 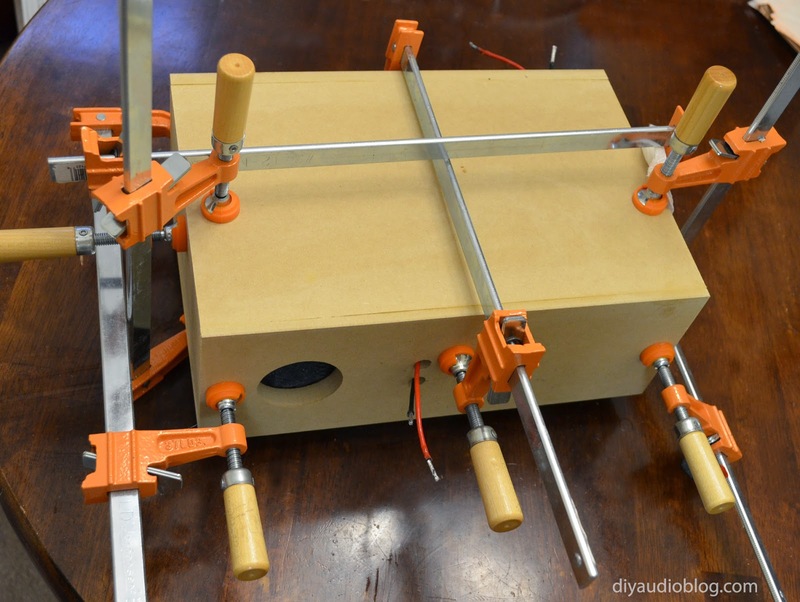 Once everything is in its proper place and you've tested to ensure everything is working, the speaker is then sealed up with your favorite wood glue and clamped from every angle. 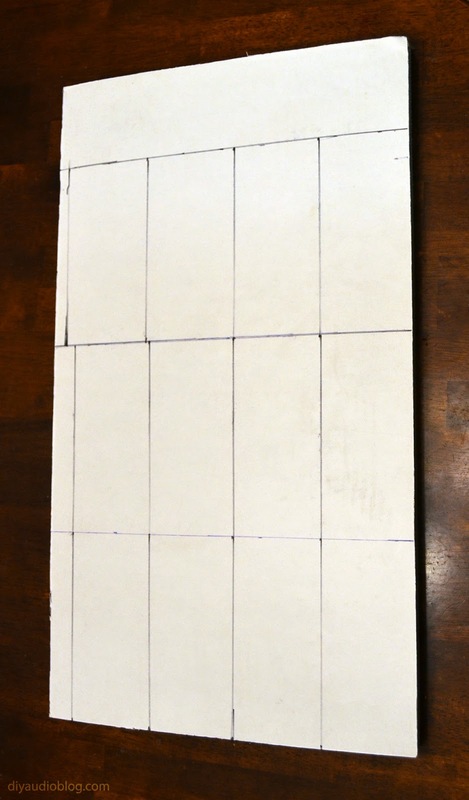 Excess glue is removed with a damp paper towel. Don't soak it or the MDF will expand, and no one likes wet, expanded MDF. 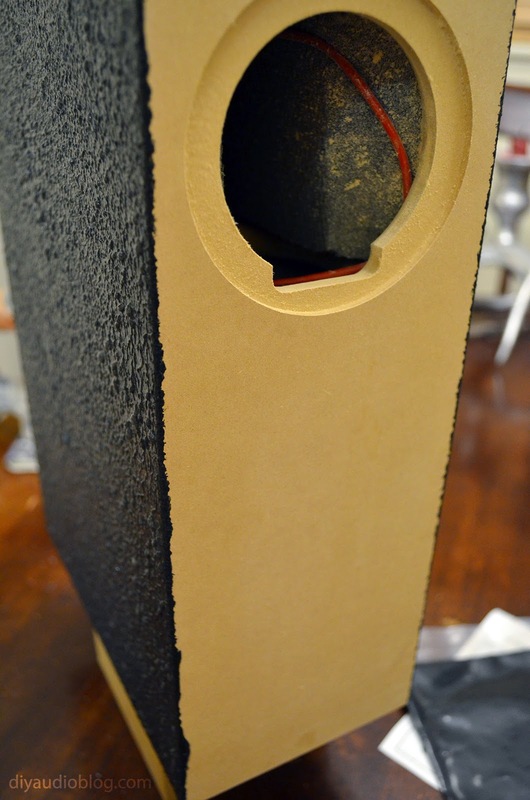 Here's the speaker cabinets after drying, right before getting a sand with 60 grit sandpaper. A basic electric sander is pretty affordable and save a lot of effort at this step (if you don't already have one). 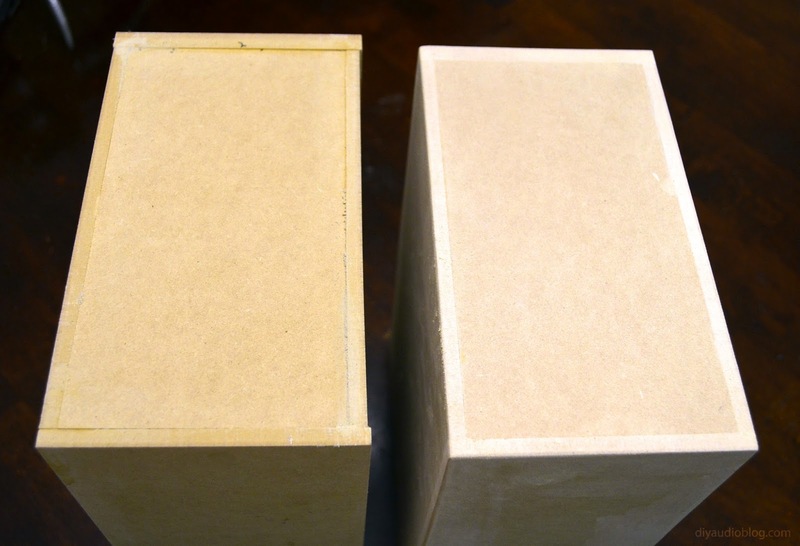 Below is the difference between sanded and unsanded cabinets. Any gaps in the wood should be filled with wood putty, or if you are going to be painting the cabinets with Duratex, you should use drywall spackle per the directions for better adherance. For the corners, I sanded them lightly with 3-4 quick passes, some people like to round them a bit more, or route them. Duratex, check out that texture! Duratex requires two coats, you can vary the texture with the included roller a little bit for either a smoother or rougher texture. When the solution is rolled on, it creates bubbles which pop, adding to the unique finish. Next the ports should be installed, there is a small ring around the cork cap which is recessed to allow you to put some caulk down to seal it in. Now the cool little Electra Tube connectors can be soldered on. 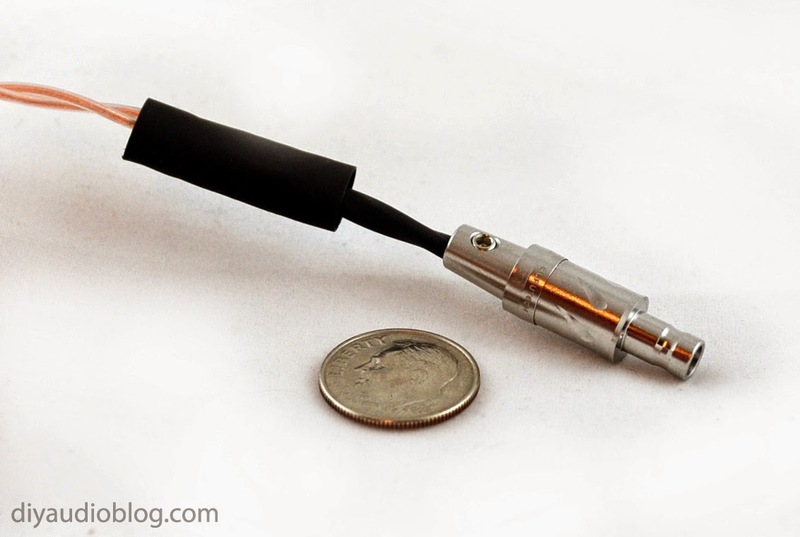 These are pretty unique connectors; they have a patent pending from what I understand. 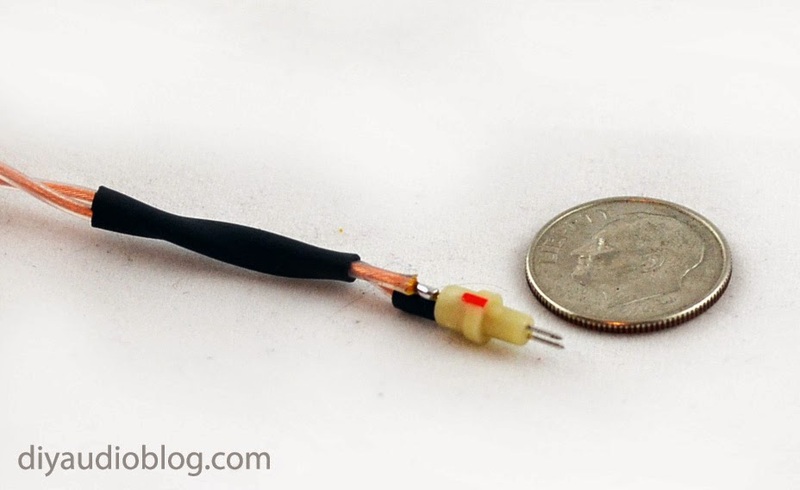 They are low mass, so they only use the amount of metal necessary, and allow the internal wire to be very close in proximity to the wire within their proprietary banana connector. 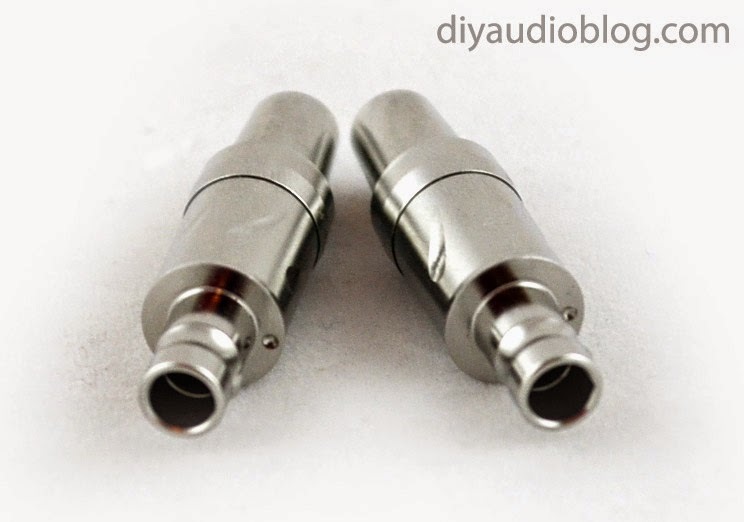 The nice thing is that I've found they work with standard banana connectors as well, so they shouldn't affect your speaker resale value much if someone is married to their particular Kimber/Nordost/etc. speaker cable. 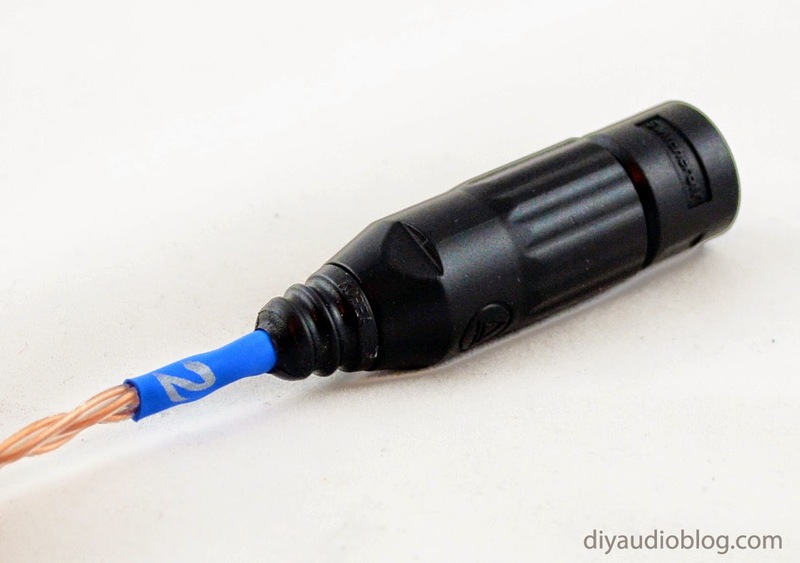 One of the nicest things about these connectors is you just hammer them in with a rubber mallet. The installation couldn't be simpler. Soldering the driver in is a simple affair. Just two wires to worry about. Note the bottom of the driver cutout has clearance for the solder posts. You may have to do a bit of Dremel sanding if the driver doesn't fit perfectly due to paint getting in the routed area. Once in place, you can drill a set of pilot holes, then screw in the four screws. All done! 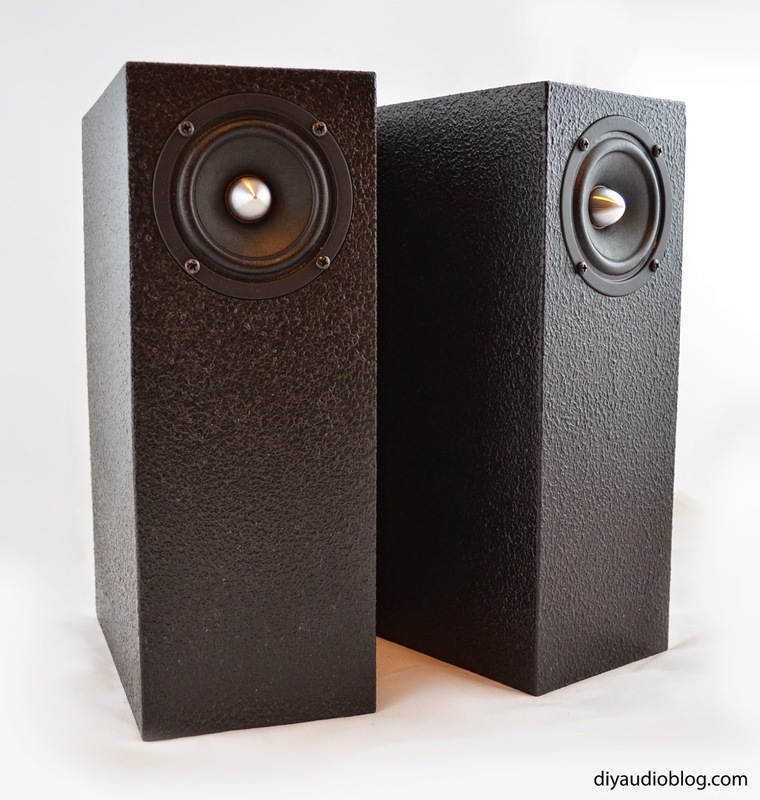 So if you have three Benjamins, don't have a lot of space to spare, and are looking for a pretty resolving desktop speaker, the LGKs are a great bet. You'll note some very impressive bass response and nicely resolving treble. I have a slightly larger full range speaker with a Fostex driver and baffle compensation "crossover" and I like each of these for different reasons. 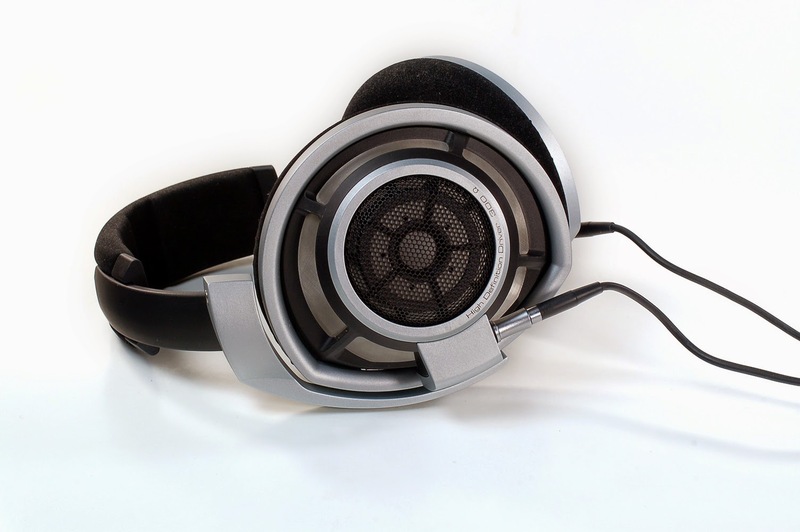 The bass response and treble energy on the LGK is better, and the Fostex offers slightly better presence and midrange. Overall a great project and a great speaker. Looking forward to see how Danny incorporates these drivers into other designs. 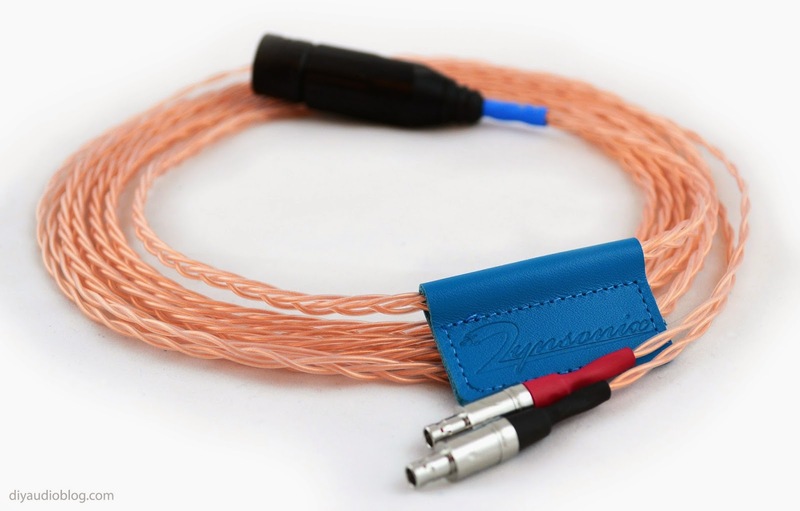 Need some speaker cables for your LGKs or other speakers? Contact Zynsonix Audio for some great sounding options. The above steps detailing the building of a speaker are for entertainment purposes only, and are not intended to be used as instructions. Zynsonix Audio LLC and DIYAudioBlog do not have any affiliation with SubAssemble or GR Research. The owner of this blog and all associated parties can not / will not be held responsible if you attempt the process posted and cause physical harm to yourself, your surroundings or your property. Please keep this in mind.